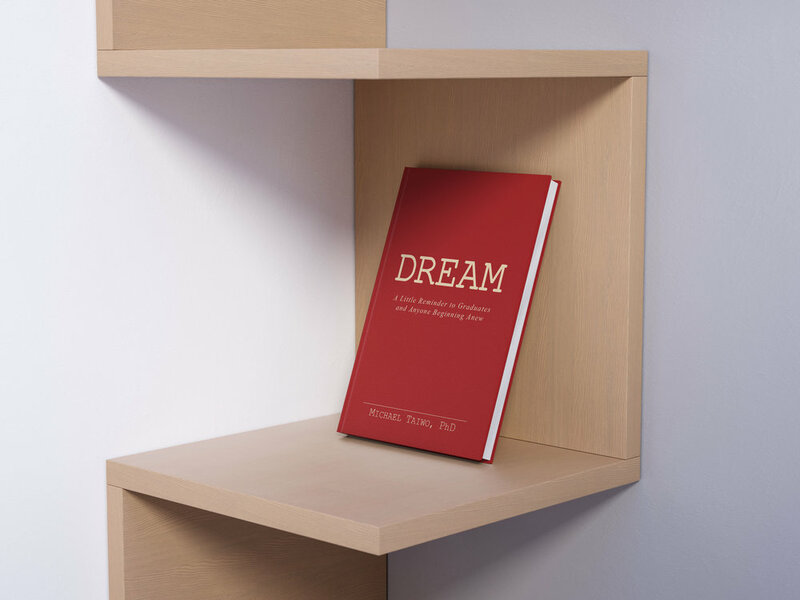 Learn how to possess the power to make your dream a reality. Automation - think not only of robots but also of pipelines and conveyor belts - is the fourth and last step in the journey towards being highly productive. We have talked about automation before so this post - the last, weekly, post - will be a reprint of a previous article. We all ask the following questions: how can I do my work faster, easier and more accurately? How can I produce more without compromising safety? How can I achieve more without tipping the work-life scale to all work and no life? In short, how can I do more with less? There is no way to answer these questions without resorting to standardization. Standardization involves using standard processes to create standard products. Is there a template to follow to become a highly productive person? This article seeks to answer that question. A successful model I have adopted and used for years goes roughly like this: 1) remove the fat from what you do; 2) reduce complexity; 3) create a repeatable way to do work; and (if possible); 4) use bots. What do productive people have in common? What follows are descriptions of four of the character traits I have repeatedly noticed in people who are highly productive. These are: high energy, ambition, focus and self-awareness. These qualities are mutually reinforcing. Taking an exam as a professional is a different ball game than as a student. Passing an exam in school is easy, at least in my experience because of the structures and resources available. What’s more, it is easier to learn as a youth, partly because the only responsibility many students have is studying. No bills to pay, no children to look after, no spouse to contend with. Even so, passing an exam is possible post-school. This article shows you how. This note you are about to read changed my life. Because I grew up with little food, my tendency was always to eat as if it was going out of style. But as you will soon read today, there was a point where I came to myself and made a U-turn. The results have been astounding. Learning to go without food has made me healthier, stronger, wiser, and more productive than I have ever been. I hope it does the same for you. People have debated about the value of to-do lists for ages. Do they work? Are they worth the time? Is there really a point in writing it all down if you already know what you need to do in your mind? I say a resounding “YES!” To-do lists are one of the productivity techniques I use on a daily basis. They are a visual reminder of the progress you have made—and the ground still left to cover. They are a reminder of the promises you have made to yourself, and that you intend to keep. To-do lists work. How about a simple math to help remember the one key thing about Productivity? To maximize Potential, there’s something that needs to be minimized. It’s Interference. Read on to understand the relationship between Potential, Productivity and Interference. Today’s post is more of a prequel than a sequel to last week’s. Before we talk about the tool a person should use to be more productive, we need to talk about the mindset of the person wielding the tool. A tool helps you do things faster. But speed is of no use if direction is wrong. A tool can help win a race, but what if it’s an unnecessary race? This is why we need to talk about the Productive Mind. The most common question I get goes roughly like this: How do you do it? How do you manage to be a hands-on dad to four kids, mentor scores of professionals and students scattered across the globe, perform well at a demanding engineering job and still have time to write a book and blog? The answer, as you may suspect, is not a one-liner. Whether you are a high school grad going to college, or a college grad moving to the workforce, or a worker contemplating a career switch, transitions are unnerving. The old rules no longer hold true, and failure feels near. Your dreams brought you to this doorstep of change, but your fears can send you back. To change your dreams into reality, you must walk through that door, outside threats and inner doubts notwithstanding. DREAM inspires you to slay what terrifies you so that you can have more, do more and be more. I want to reach out to 'personally' thank you for sharing your speech. I've read it four times now, and suspect I will read it a lot more over the coming few months. I was recently admitted to INSEAD to study for a MBA, and I'm certain it's the right thing to do next...but suddenly, I am realizing how much I have fallen in love with the predictability of working at --- (which is quite a good place to work), and I have been hit by crippling fear. I find that it helps to come back to read 'Dream' every time the fear peaks. So I thought to thank you for writing it. It almost feels like it was written for me. This resonates so deeply, as it’s how I’ve consciously chosen to live my life and I’ve seen similar breakthroughs by pushing ahead for my dreams in spite of fear. I will have my kids read this. I wish I read this earlier in life. Fear is surreal, never feed it. What a great message. Dreaming will be my second nature. I should learn to starve my fears. Your speech at the Spring 2017 Chemical Engineering Banquet here in Fayetteville was truly inspirational and your story and experiences truly aligned with mine here in Fayetteville. Thank you for coming back to our town and inspiring us young soon-to-be engineers! Love it. A simple yet profound message from the heart that resounds and reverberates everyone's once heard inner voice... Act or do nothing. Words on marble...."Your dreams will always exist side by side with your fears. Both of them are a product of your rich imagination. And you have the power to make one or the other a reality"- Dr. Michael Taiwo. I love the simplicity and the message. People need to come out of fear! It's evil!